Experience genuine hospitality, ancient history, rich culture and majestic nature in a contrasting country. Join us for Moroccan Adventure. Highlights of this trip: Crossing the highest pass in Atlas Mountains. Visit the most famous kasbah in Morocco, Kasbah Ait Benhaddou. Drive through Berber villages and Morocco's Hollywood city. Ride camel in the sand dunes and try sandboarding. Watch an amazing sunset and starlit sky beyond compare. Experience the nomad culture and sleep in a nomad tent, surrounded by sand dunes and desert silence. 4 days is the perfect amount of time to spend on a desert trip to the really high dunes. This trip takes you over the Atlas Mountains and North Africa’s highest pass. You visit kasbahs, oases and follow ancient caravan routes. Further you pass Berber villages and visit the carpet capital of Morocco. The absolute highlight is the desert, with off-road driving through different landscapes, camel trekking and sandboarding in the dunes. Play drums with the nomads and sleep in a nomad tent in a desert camp surrounded by dunes and silence. 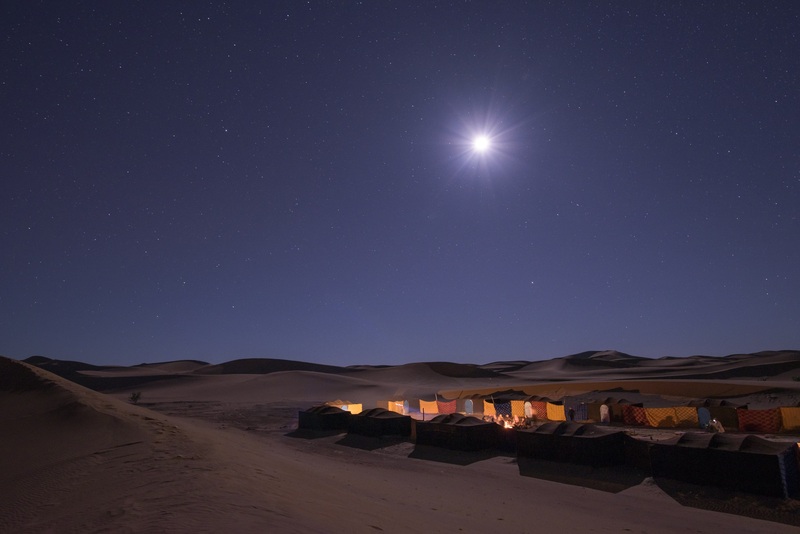 Spend one night in a desert camp in the high dunes of Erg Chegaga. 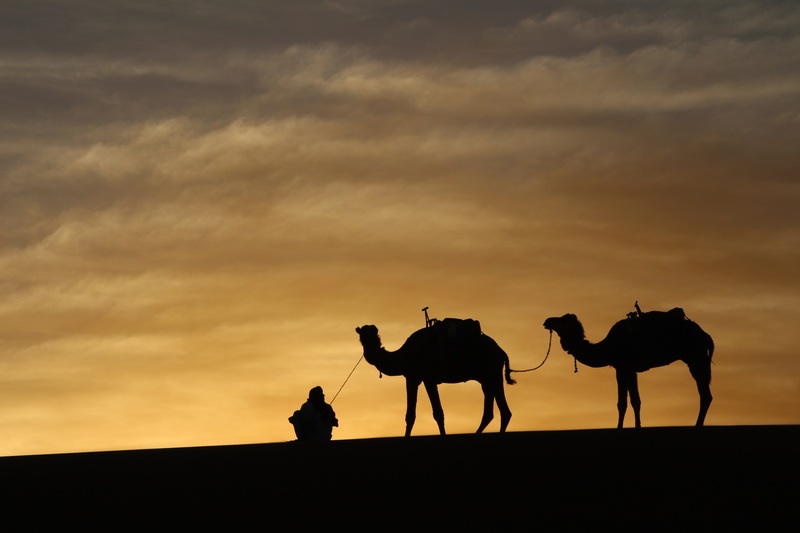 Enjoy the beautiful desert sunset, go for a camel ride and try sandboarding down the dunes. Sit around the camp fire together with the nomads and listen to them playing traditional music. Look up at the most amazing starlit sky. This trip is best suited for those who have limited time to experience the desert. Feel the freedom and silence of Sahara, enjoy a magical sunset and a starlit sky beyond compare. 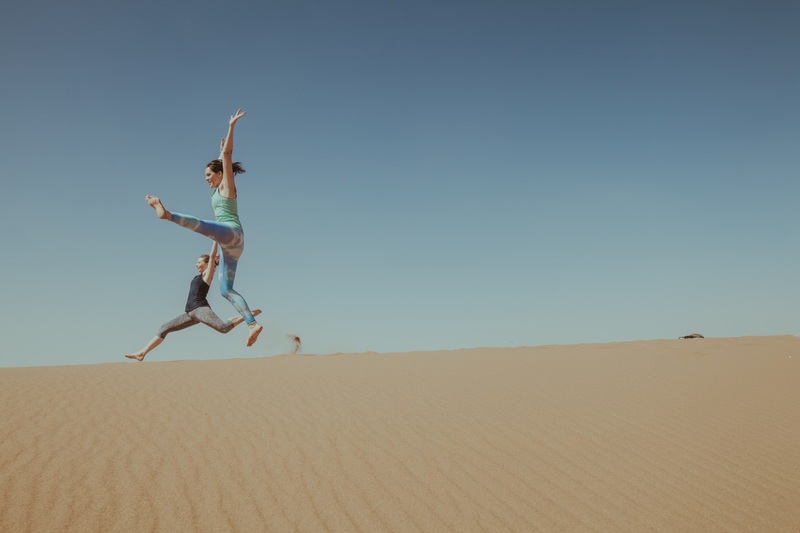 Stay in a desert camp, go camel trekking and try sandboarding down the dunes. Get to know the nomads and their culture. This is an unforgettable experience! We have 2 departures from M'hamid everyday. Minimum 2 persons. Video from Reiseperler on a Moroccan Adventure organised by Desert Candles. Video from one of our travellers, Stéphane Hennick: Roadtrip from Marrakech to Erg Chegaga. The tour from M’hamid El Ghizlane to Erg Chegaga desert camp was organised by Desert Candles. My first trip to Marrakesh and not least to Sahara 🌞 🐪 I have been on an adventure beyond compare. Had to pinch myself in the arm every single day. Seen many wonderful places which should only be experienced. The feeling, smells and the whole atmosphere, indescribable. “In love” as we said to each other. Tip top travel guides who fixed and arranged everything for us. I just want to THANK YOU again for letting me experience this, and you are the reason why it was so great Solveig and Abdoul😀 I AM GOING BACK. I wish that everyone could experience the same as I have. I was on a group trip to Marrakech, Essaouira and Desert Candles’ camp in Sahara. It was a great and exciting trip with excellent drivers, guides and hotels. And the camp was super!!! Thank you, thank you for an adventurous round trip in Morocco. A fascinating country with bustling life in Marrakesh to the quiet and peaceful Sahara. The nomad camp was more different then I expected, with proper beds and shower and toilet, very lovely. And the tasty food, not so different from Norwegian, but cooked in another way. And very nice drivers. This is a trip I can strongly recommend. To be on a trip with Desert Candles was the best travel experience I have ever had. Although I should mention that I have only been on charter trips and a few bus trips to Eastern Europe. So even if I can be easily impressed, I would think that this trip is breathtaking even for people who travel a lot. The flight to Morocco is not further away than a normal trip to a holiday in the sun. The advantage here is that you have better space, no nasty flight meals and you have free wifi all the way. At the airport we were picked up in big, comfortable cars. Something we learned later on was a necessity when we were going into the desert. A riad is a place that you automatically fall in love with and you just long to bring your dear friends and family there. It is like a small inn, with the greatest people in the world working there, and who wish to make your stay completely perfect. The trip to Sahara is long and exciting. Just enough breaks underway for photo stops and toilet visits. It is recommended to buy some potato chips and sweets from the kiosks/cafees along the way. Remember to share with you driver too. That creates a very special atmosphere. Remember, the driver is a stranger when you first get into the car, but by the time you arrive to Sahara, he is a good friend. The camp out there is totally indescribable. Here you meet a small group of people who, before the first evening is over, you feel is your best friends. The stars are so close, so close. The food here is the best we had on the whole trip. Camel ride, sand climbing, snowboard in the sand, the feeling of peace and quiet is so very unique out here. Campfire, sing-a-long, fellowship with new friends. Sahara must be experienced and should be experienced via Desert Candles. I am going back with my man, son, daughter-in-law, grand children and friends. In February 2018 we see you again.